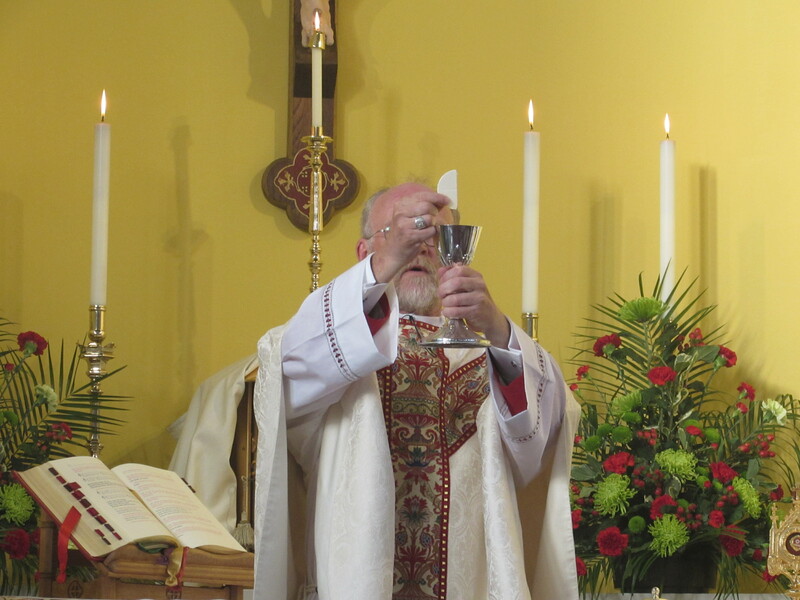 Welcome to this week’s Bishop’s Blog! 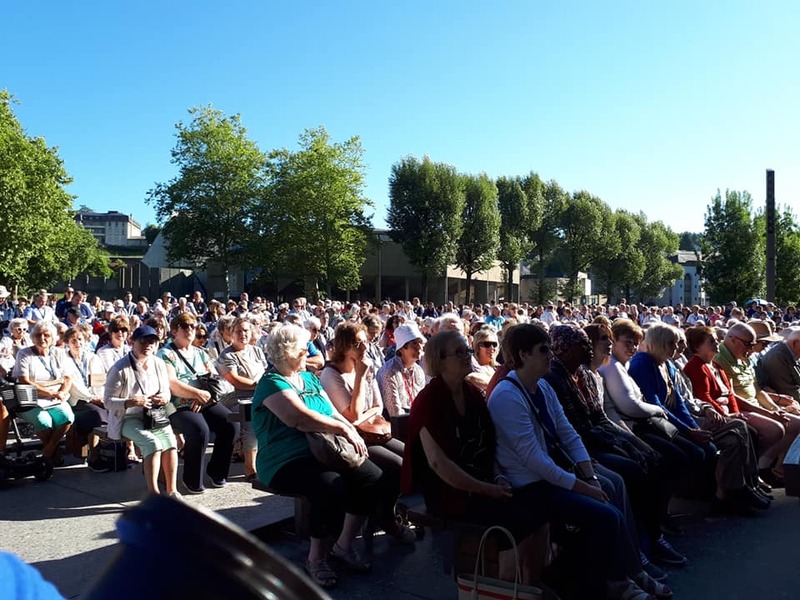 Dear brothers and sisters in Jesus Christ, fellow pilgrims, this morning look where our pilgrimage has brought us – we are at the very heart of Lourdes, in two senses. 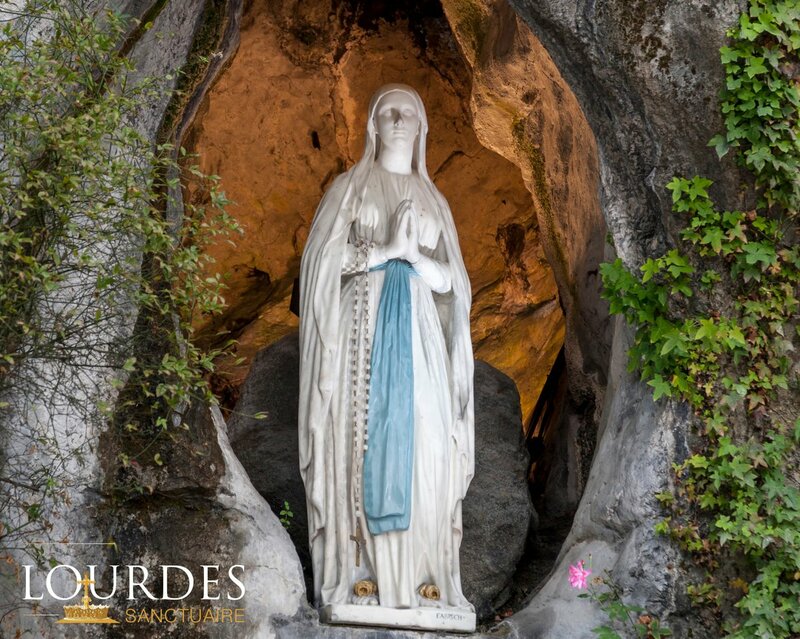 Firstly, because we are here at the Grotto, in the Grotto, a sacred place in which St.Bernadette, little more than a child, was privileged to behold the face of the Blessed Virgin Mary. She heard her speak, and was able to converse with her, here in this very place where you and I now stand. This is a sacred place. We must respect it. Let us take a moment of silence now to do just that. 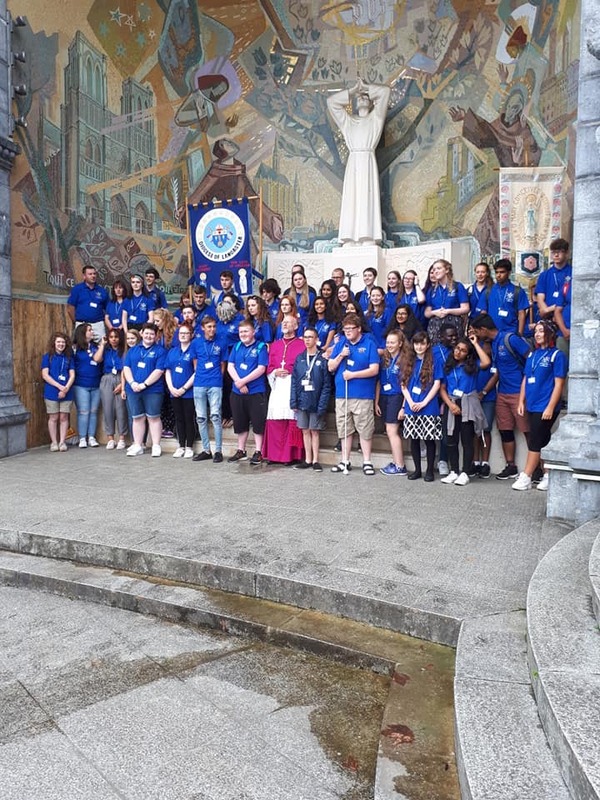 The second way in which we are at the heart of Lourdes is because we are gathered at Mass, privileged to hear God Himself speaking to us, privileged also to meet and welcome Jesus who wishes to enter into your own sacred place, your soul, and to remain with you that you may bear much fruit.The purpose of any Pilgrimage is to unite us more closely with our Lord and Saviour, Jesus Christ. If this does not happen then even if we have had a good time our efforts have been wasted. But it is not easy to achieve this goal. You are far from home, and your usual habits and routines. You are engaged in activities here that you will leave behind in just a few days. How will you be changed? What progress can you sense in your personal journey into the life of God? We all need signs and reassurance because our Faith is often weak. At this morning’s Mass we are given great encouragement. 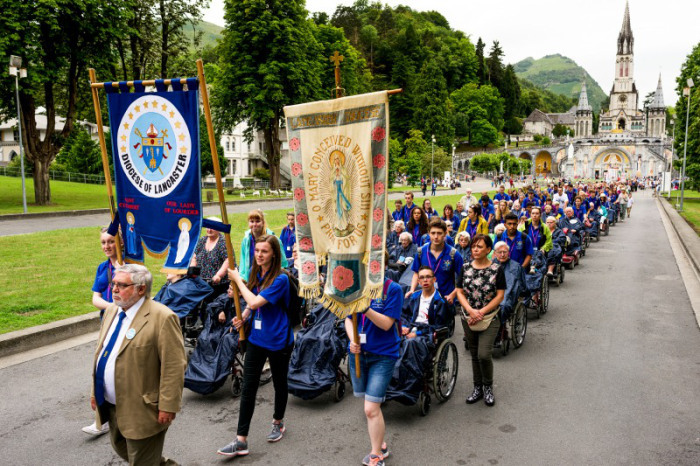 St.Bernadette was chosen for a particular favour at a particular time. 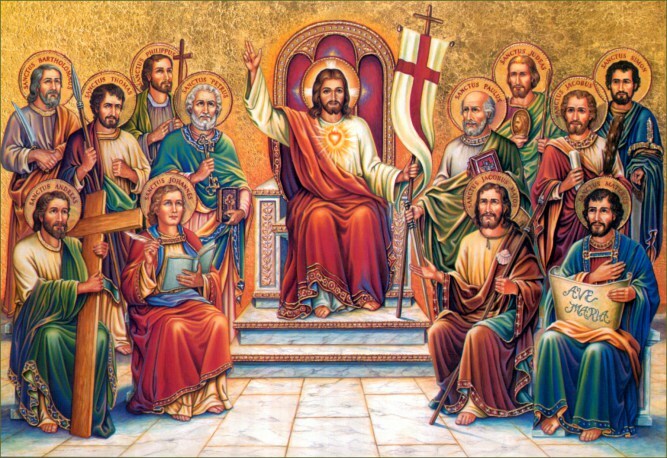 Dare I say that we too are chosen to be here today for a very special favour? It is not Mary that we will see but the object, the subject, of her own adoration, our Lord, Jesus Christ Himself. He will appear to us in just a very short time. He is the One Mary wanted St.Bernadette to see, to know, to love and to serve. Which will be given up for you. 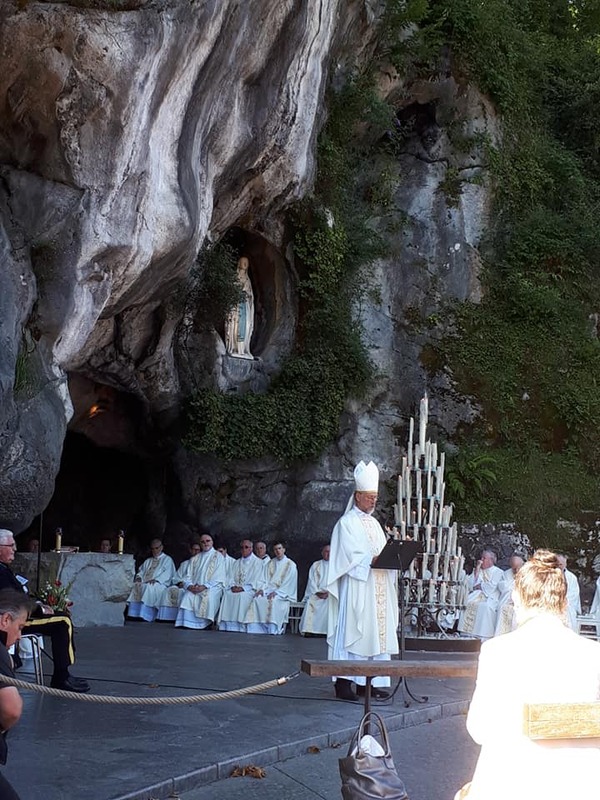 Just as we have a purpose in our pilgrimage, just as our Blessed Lady had a purpose in coming to this Grotto, so Jesus has a purpose in coming to us. Do you want to know what His purpose is? It is this – He wishes to make His home in you, and that is not all. . . . He dares you to make your home in Him. To do that we have to trust Him. We must let Him enter our heart. To do that we must find the door to our heart, we must open it and welcome Him not as someone who has come to inspect and criticise and find fault. He comes to make His home within us not as a stranger but as a friend, a carer, a brother and a Saviour. When I first heard that we would be blessed to share this occasion with fellow pilgrims from Wales and Scotland I was tempted to try and think of a joke about an Englishman, a Scotsman and a Welshman. Then it got even better and we were joined by the Irish pilgrims! Thankfully I could not think of a joke. And let us reflect, this is neither the place nor the occasion for jokes; there is too much in our lives and our world in need of serious attention, too much that is damaged, too much to put right. Let our jokes be for another occasion and another place. 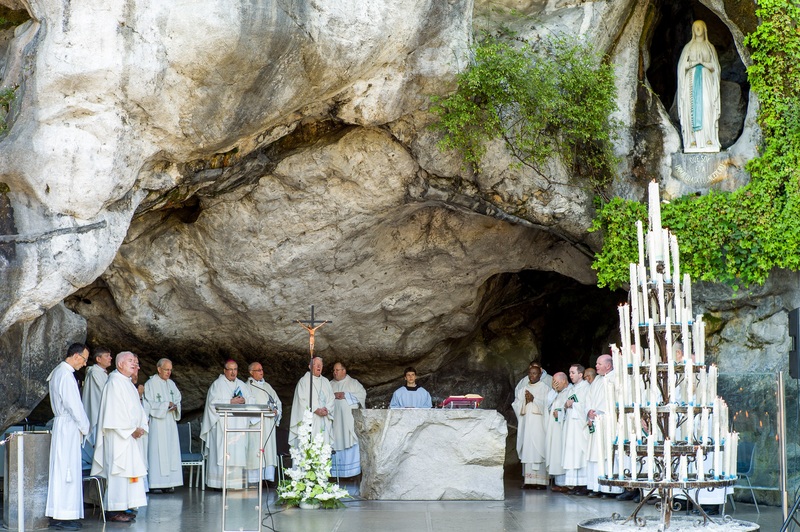 Rather, whilst we are in this sacred Grotto of Lourdes, let us call to mind another grotto hewn in the rock, the tomb of Christ, the tomb from which He rose from the dead so that He could meet us here, enter into us, and make His home with us. We are people of faith even if we are still sinners. 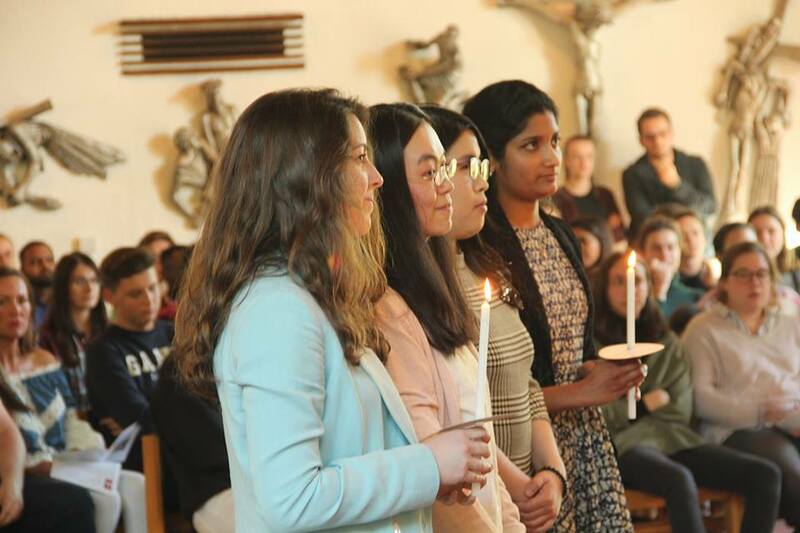 We have been given wonderful people to inspire us, not only our Blessed Lady herself, St.Bernadette, St.Bridget of Sweden, our own national and local saints. Each of us can call to mind certain individuals we have in a sense been ‘given’. They are known to you and have been part of your life’s journey. Probably, some may have gone. 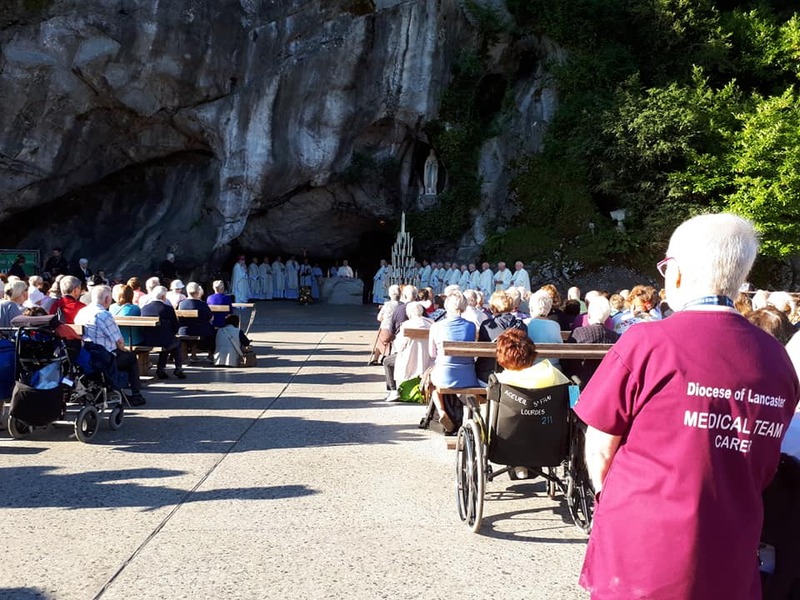 But one grace of any pilgrimage is to be given new companions whose stories and example somehow lift us, and help us know the love of Jesus, at home in us, bearing good fruit in our lives..
Let us be encouraged here at the Grotto of St.Bernadette on this beautiful July morning, whatever burdens we face or carry. Let us be closer to God because we are here in this sacred place, and because we know He has created that other sacred place where He longs and loves to be, the soul of each of us. Let us know the closeness of the Holy One. That is the purpose and goal of our pilgrimage, and now it is so close . . . . It is the desire of St. Bernadette that we share the joy she found. It is the desire of our Blessed Lady that we know the joy of life with her Son. It is the desire of the heart of each of us to welcome Jesus in the home that lies within, and to find our home within His Heart. 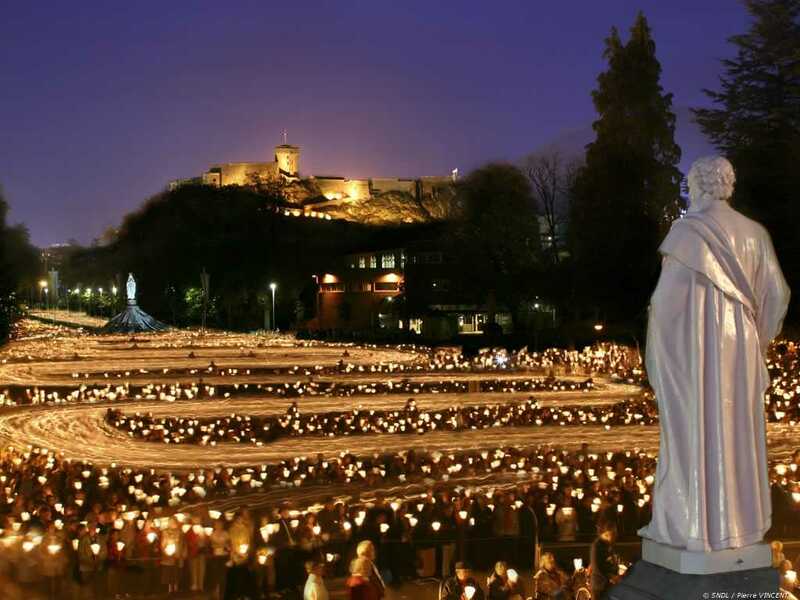 It is the miracle of Lourdes that, so far from home we find our true home with our true Lord.